Memorial to the more than 1500 pilots who passed through the No 5 Service Flying Training School conducted, here at Uranquinty, by the R.A.A.F. during the Second World War under the Empire Air Training Scheme. 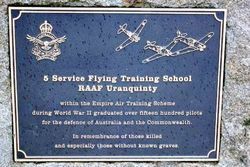 The memorial also commemorates all those pilots who trained at Uranquinty and subsequently lost their lives and who have no known graves. The Empire Training Scheme was established by the Governments of Britain, Canada, New Zealand and Australia at the end of 1939 to provide the crews to fly the warplanes produced by the war-time factories. Under the Scheme, Australians retained their distinct identity and status as members of the RAAF. 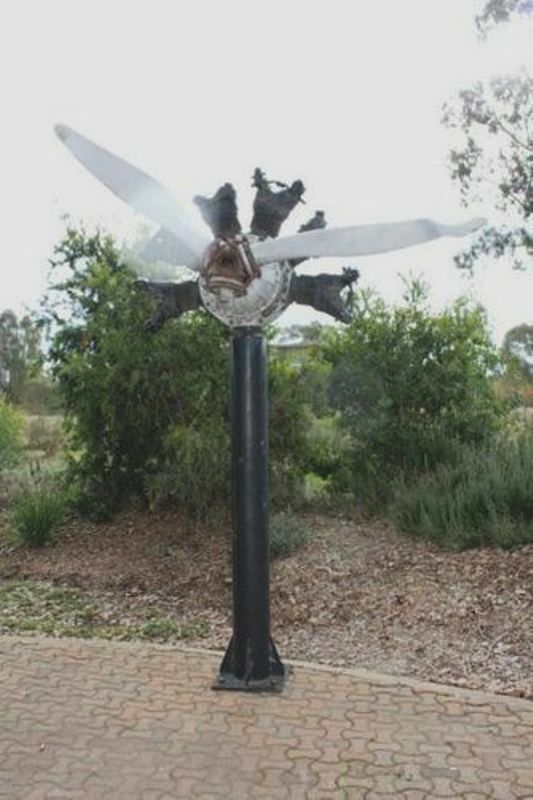 It was formed at RAAF Station Uranquinty, New South Wales, in October 1941, and disbanded in February 1946.
for the defence of Australia and the Commonwealth. and especially those without known graves.